Sometimes you just want simple food. Stuff that makes you full, scratches and itch, brings back the old days and makes you happy to be with your friends today. Yeah, comfort food. That’s what Scott’s Brats is to me and that’s why I linger there like a stray cat that’s been fed on the back porch. 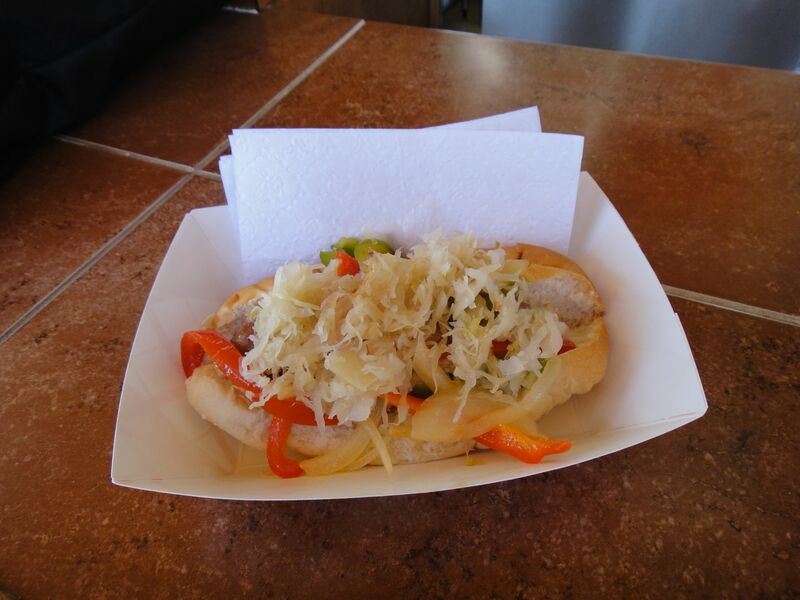 So, let’s look at one of those brats with onions, eh? 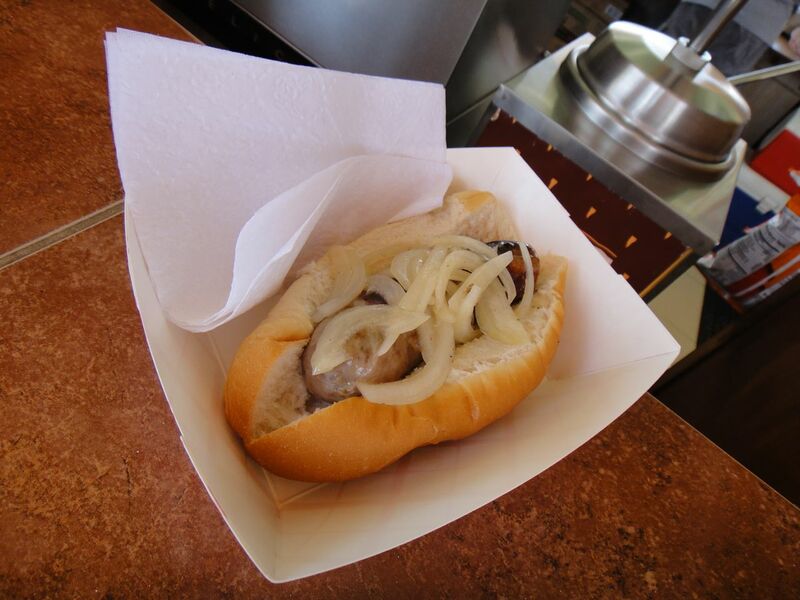 Scott’s Brats, brat with onions. Now here is a brat with just about everything. Scott’s Brats, brat loaded to the gills. Yeah, one of those two will fix you up where you’re broken down. 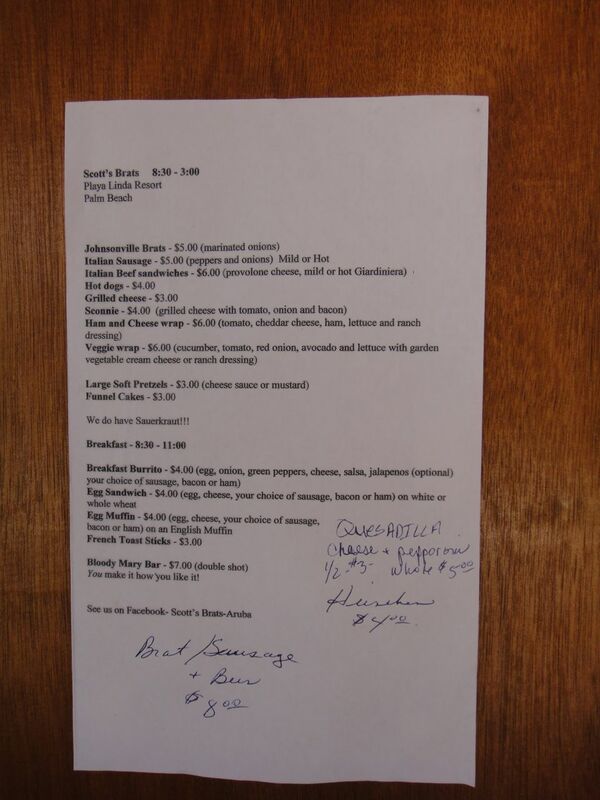 Here’s a look at the menu. Very affordable prices for Palm Beach, Aruba. And finally, check out the view from Scott’s looking to the palapa huts, Palm Beach, and the Caribbean beyond. Yeah, there are worse places to chow down. Bon dia and enjoy your meals!